The Alliance’s must-read nonprofit publications cover a wide range of topics relevant to Connecticut’s nonprofit community. 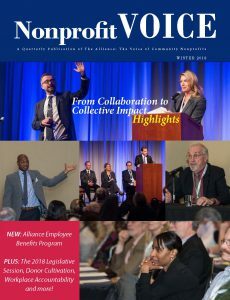 From state and national advocacy efforts to emerging trends in fundraising and governance, the Nonprofit VOICE magazine provides information and resources relevant to Connecticut’s nonprofits and the businesses that work with them. 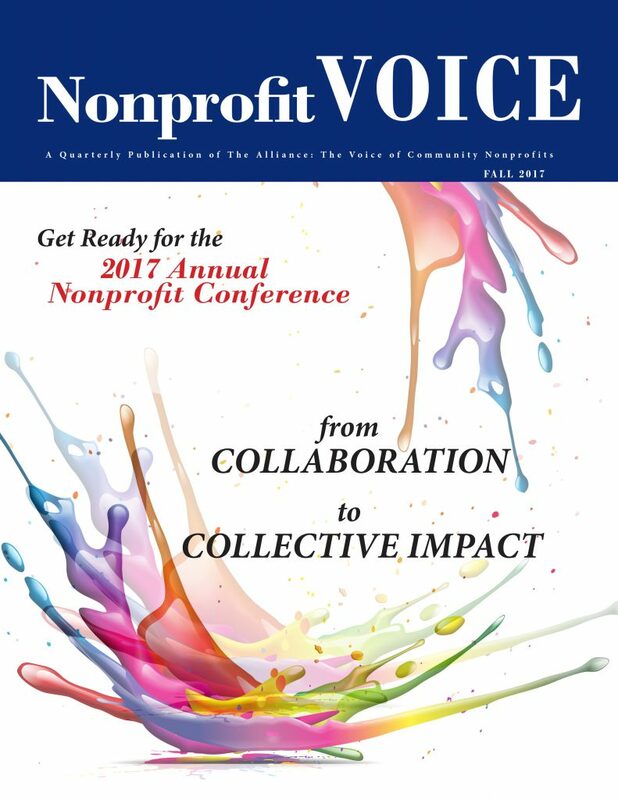 The Winter/Spring 2018 edition of the Nonprofit VOICE looks at the highlights of our 2017 Annual Nonprofit Conference, workplace accountability, the benefits of philanthropic collaboration, donor cultivation, and so much more. Read online or download a PDF here. The Fall 2017 edition of the Nonprofit VOICE (formerly Nonprofit Advantage) looks at the evolution of the nonprofit landscape from the state and national levels, examines the benefits and challenges of partnership, in addition to offering guidance for fundraising programs and board governance. Offering a big picture perspective on nonprofit partnerships is 2017 Conference Keynote Speaker Jacob Harold, President & CEO of GuideStar! You can see Jacob Harold and our other contributors in action at the Annual Conference on November 30, 2017. 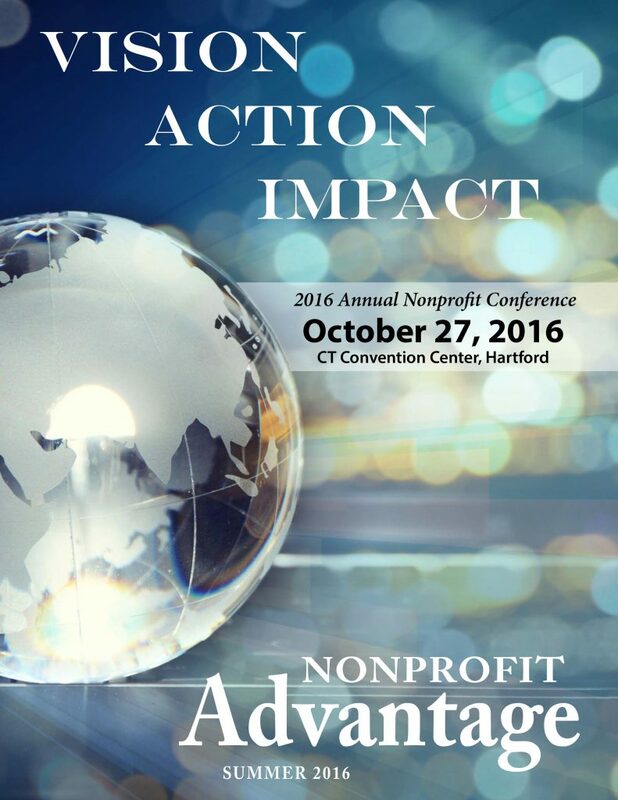 The first edition as a merged association, the Summer 2016 edition of the Nonprofit Advantage gives a retrospective of the 2016 Legislative session and a glimpse of the upcoming 2016 Annual Nonprofit Conference: Vision.Action.Impact. The 2015 Annual Nonprofit Conference was a hit with Dan Pallotta's exciting Keynote Speech! 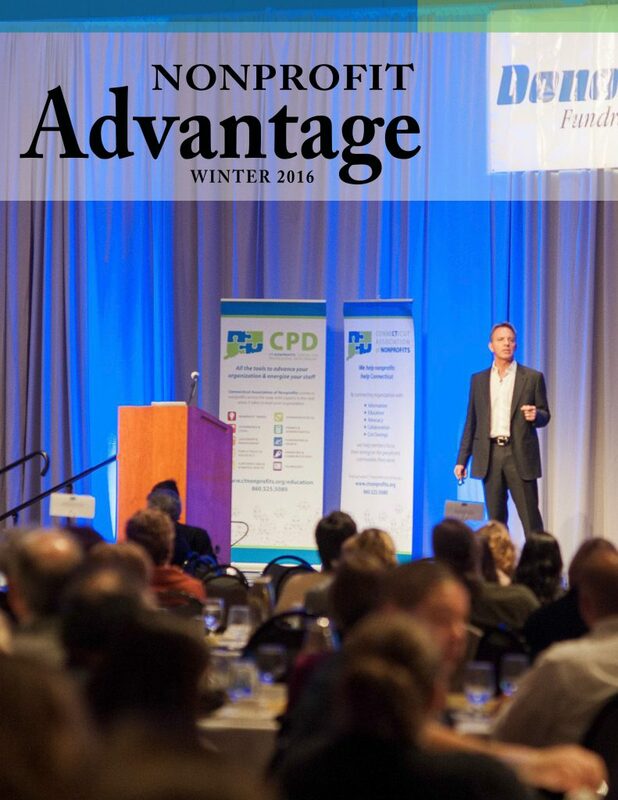 The Winter 2016 edition of the Nonprofit Advantage features the highlights of the 2015 Annual Nonprofit conference, new ideas to grow and promote your nonprofit brand, how to get a capital campaign off the ground, and more!